Five of the Best Gardening Apps | Global Garden Friends, Inc. Many people enjoy gardening. Whether you consider yourself an expert gardener or just starting out, your smartphone or tablet can come in handy when it comes to maintaining your garden. From tips to rain to garden organization, the following are five of the best gardening apps on the market today. 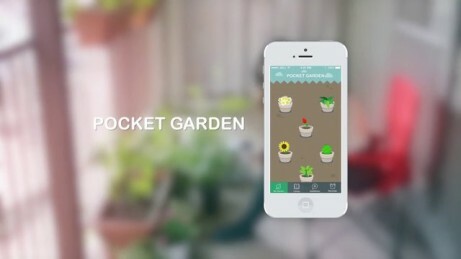 If you are growing vegetables in your garden, PocketGarden is a necessity. With this app, you can search through hundreds of vegetables to learn about what you should plant and how to plant it successfully. If you have planted seeds in your garden, Pocket Garden allows you to keep track of the date you planted and will provide you with current information about harvesting and germination. If you have yet to plant seeds, let Pocket Garden know what you’re planting, and it will tell you the best depth for planting, the perfect spacing and the best watering tips. The app also contains colorful pictures to physically show you information, not just read about it. GardeningToolkit has plenty of benefits for the average gardener. If you don’t know what to plant in your garden, Gardening Toolkit will help you decide. It will also tell you the best place to plant certain items in your garden to ensure they grow successfully. You can also keep track of the items in your garden and search for information on your plants. Plus, Gardening Toolkit will help keep you organized by providing you with a to-do list. Now, you know when to water, when to pick vegetables, when to add fertilizer—all in one easy location. 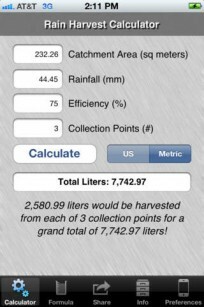 This is a great app for those gardeners who have a rain barrel or other form of home irrigation system. 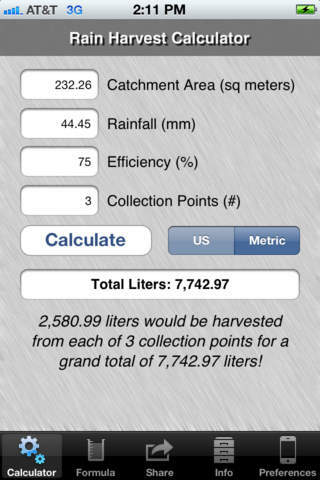 RainHarvest lets you calculate exactly how much water can fall on your roof during a rainstorm, letting you know exactly how much water you can accumulate and use towards your garden. You can also share your calculations via email, and rain can be calculated in inches or millimeters, depending on your preference. For those of you planting vegetables in your garden, VegetableGardeningGuide is an essential. This app will provide you with a list of proper tools you will need for your garden, instructions on how to plant and care for your garden, detailed illustrations to give you a visual as well as hyperlinked information. 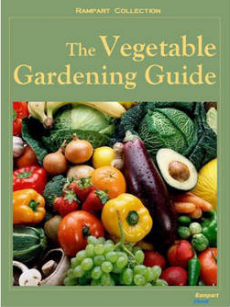 Along with teaching you how to maintain your garden, Vegetable Gardening Guide will also provide you with the nutritional information on the vegetables in your garden as well as recipes to use them in. Landscaper‘sCompanion is designed for those gardeners who enjoy plants, trees and shrubbery. 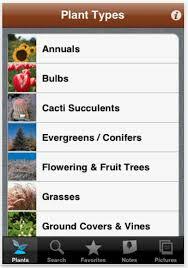 With this app, you can search through over 25,000 plants and receive information, such as the plant’s desired sun exposure, growth rate, mature height, bloom times and water usage. You can also use the app to keep notes on the plants in your garden, and you can upload pictures of your garden for future reference. About Global Garden Friends, Inc. Global Garden Friends is an innovative leader in the gardening and hydroponic industries. Founded in 2010 in Santa Rosa, California. Global Garden Friend’s products feature innovative technologies and designs that protect and support plants from the day to day challenges created by nature. Their products allow for a higher yield, more attractive appearance and longer and more efficient plant life. you can take a photo with your iphone or ipad and expert Garden Advisors personally identify your plant, pest or disease and provide suggestions as needed. Soon you will be able to buy an expanded collection of plants, remedies and other unique garden-related products not found elsewhere. 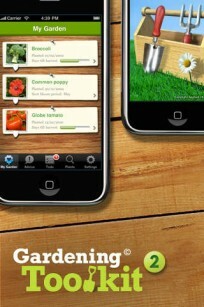 The app is currently in the top 10 garden apps on the itunes market with an Android version being released very soon. It is constantly being updated using feedback from actual consumers so it gets better and better every couple of weeks. There is a complete overhaul in design coming up of both the app visual and functionality as well as the GardenCompass.com website. It’s all worth a look. Very innovative. I love the plant ID feature that Garden Compass offers. But, I am disapointed in the long respinse time. I emailed Garden Compass a picture to be identified over a week ago & I am still waiting on response from Garden Compass to identify my plant image. The image I wanted identified wasn’t an obscure, rare flower, it was a picture from a yard in my neighborhood. try again…Garden Compass has merged with a british company called PlantSnapp and has added many features including more live experts to speed up the response time. Those are five of the best gardening apps out there. Great work. You might want to include an app for gardening services too like GoFantastic for example. Another promising app to look at is Tended: https://www.tendedapp.com/ It lets you design your garden visually, track your activities in it, see reports on your garden, upload photos, see other gardeners’ setups, etc. It’s web-based, too, so you can use it on a computer, tablet, or phone; any of them work. Check it out! Hello, we are researching for gardening apps to help us design the layout of our brand new garden area. We want to know what types of plants, how much sun exposure, when and what to plant during the winter, summer, etc. and keep track of when to water, fertilize and pick. Any ideas? PS: very excited to see this site originated from SR. We are in Rohnert Park.